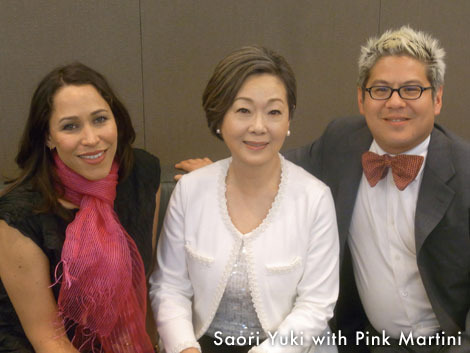 COMPETITION: Saori Yuki & Pink Martini CDs Up for Grabs! COMPETITION: Win the latest CD from Pink Martini & Saori Yuki! Japan Centre has some great new friends over at EMI Records who have given us 3 copies of the latest album. As much as I would like to keep them, I know that you guys will enjoy them more, so we are giving them away to 3 lucky winners of our competition! Read on for more details of our latest competition. I’m sure that you must be bored of hearing this by now, but at usual, this competition is running through our Facebook and Twitter channels. Choose your social media platform of choice and head over to our Facebook page and leave a comment on the competition post or enter the competition by following our Japan Centre Twitter feed and re-tweeting the competition tweet! Can I Buy This CD Somewhere If I Don’t Win? Don’t forget to check out Pink Martini’s Facebook page to keep up with their news, then head on over to Japan Centre to pick up some snacks to nibble on while you listen to the soothing melodies and exquisite tones of Saori Yuki! Posted in Uncategorized and tagged competition, Music. Bookmark the permalink.